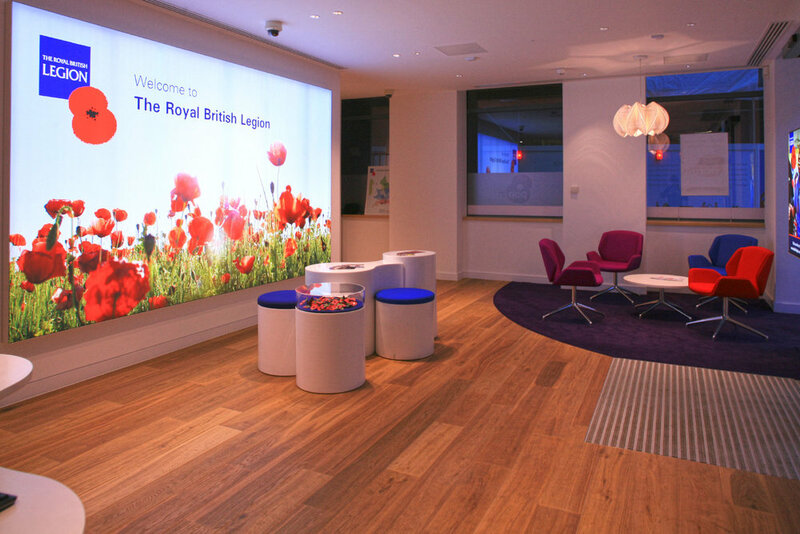 Looking to achieve a new high street presence of an appropriate quality and style for an important charity with royal patronage, the Royal British Legion came to Lees Associates to design 16 new ‘Pop In” centres. These are spread across the country and incorporate local or area offices in each location. Although the perception of quality is important, working for a charity gives a very sharp focus to achieving value for money and we have ensured that this has been achieved. 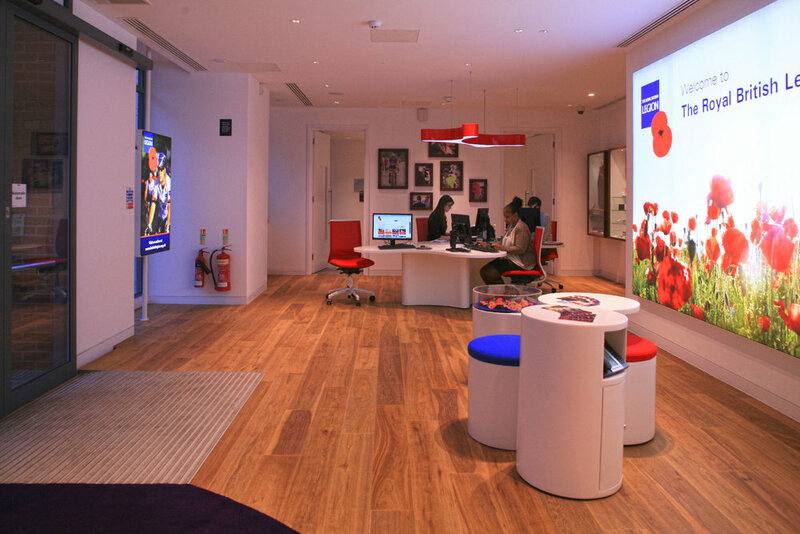 In a total period of two years, our team will have completed all 16 walk-in centres and any member of the Royal British Legion, ex serviceman, or member of the public will be able to pop in for advice, help and support, or to make a purchase from the Poppy Shop.